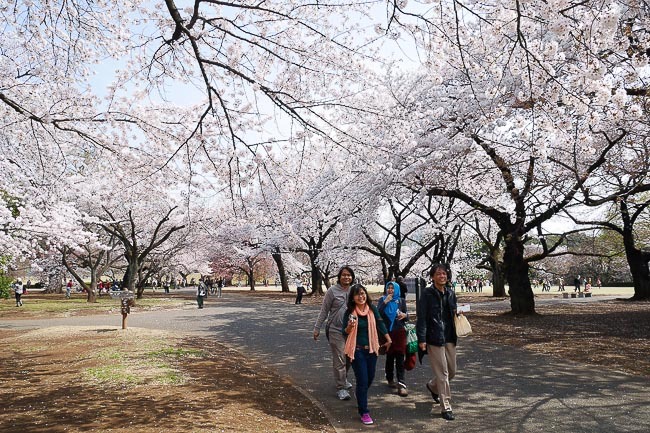 Over the past few days, city after city across the county has reached full bloom, to the point that most of western Japan is now within the peak of the cherry blossom season. 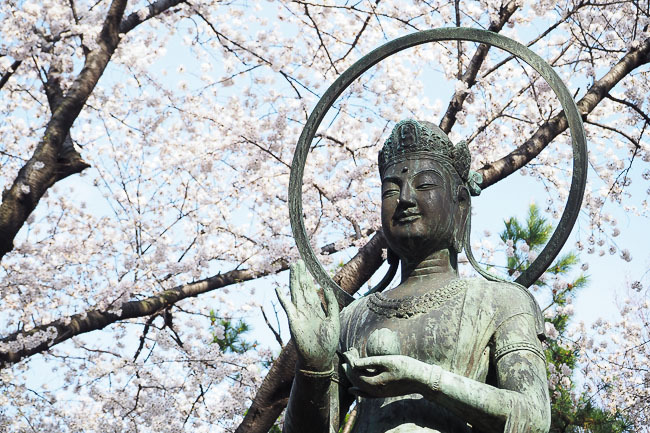 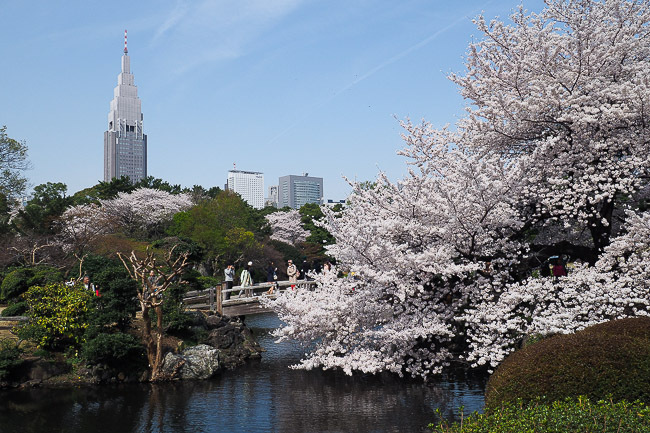 Likewise, the blossoms in Tokyo tend to coincide with their western counterparts and are also currently at their best. 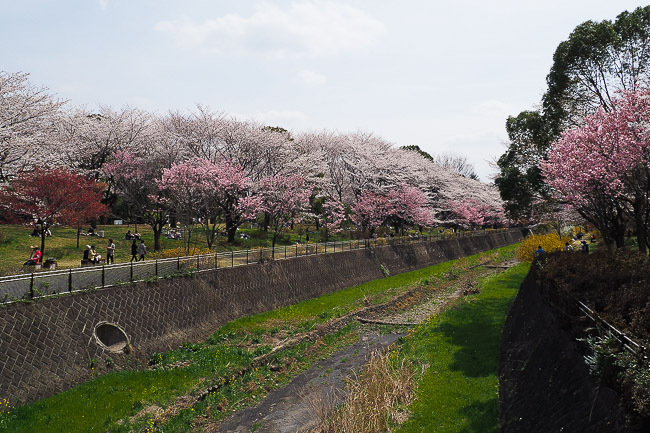 So today while Sean and Raina head off to report the from out west, I headed back down to Tokyo to see how the blossoms have been faring since we saw them reach full bloom this past Monday. 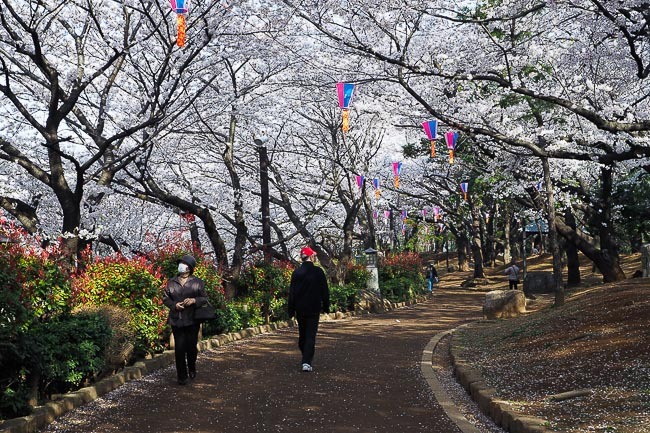 Asukayama is a beautiful hilltop park overlooking Oji Station a few stops north of Ueno on the Keihin Tohoku Line. 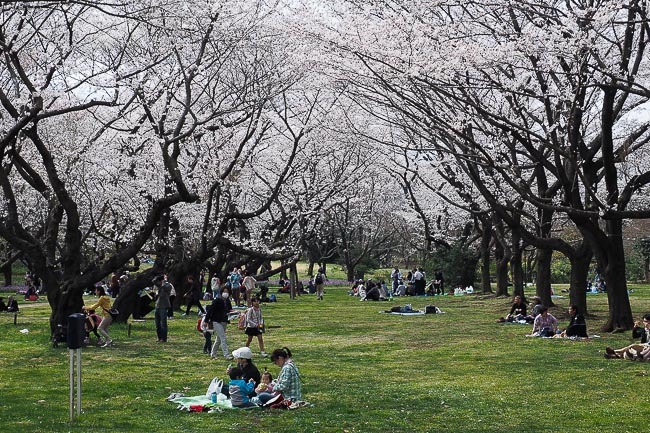 The park has nearly 650 cherry trees planted around little hills and walkways between open spaces that are perfect for hanami parties. 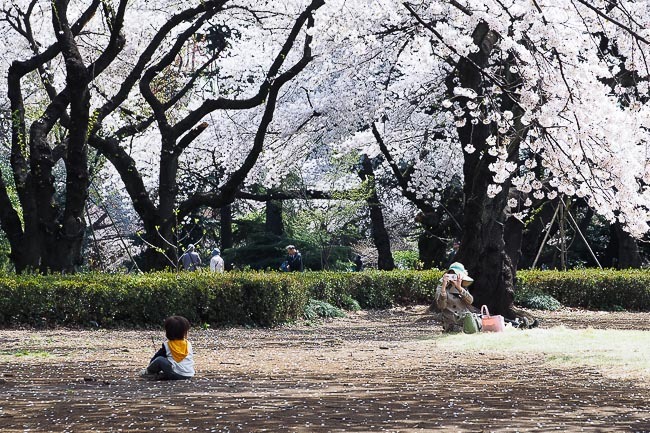 Asukayama is also a popular place for families to go since it is a little bit quieter and has a large playground with decommissioned trains to play around. 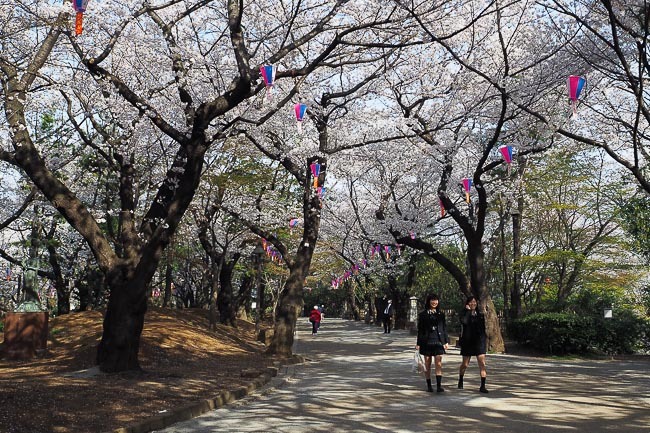 The cherry trees around Asukayama were at full bloom today and should continue to look nice over the next few days. 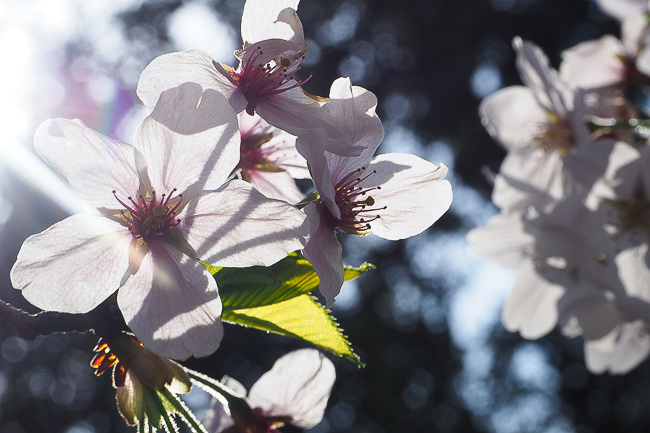 Unfortunately, there are scattered showers forecast for this evening and over the next few days that concern me as the blossoms are progressed enough that they can be damaged if the rain gets too hard. 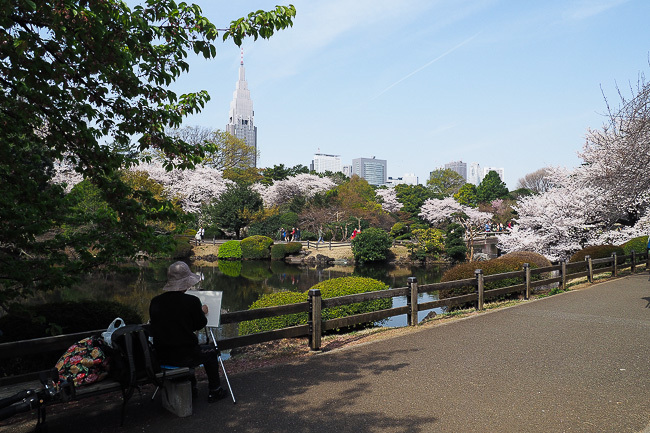 My next stop today was to revisit Shinjuku Gyoen. 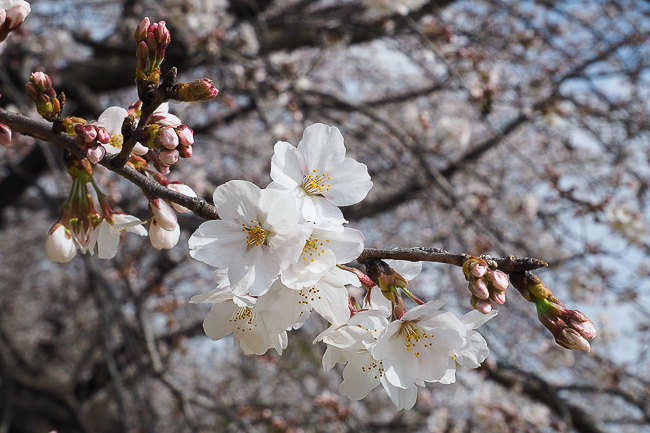 The cherry trees had just opened when we made our last visit to the garden on March 26th. 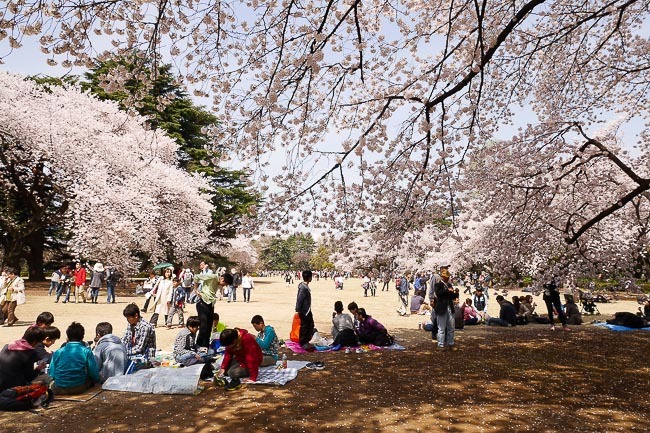 Today, the blossoms were in full swing and the park was incredibly lively with all the people out enjoying the good flowers and the good weather. 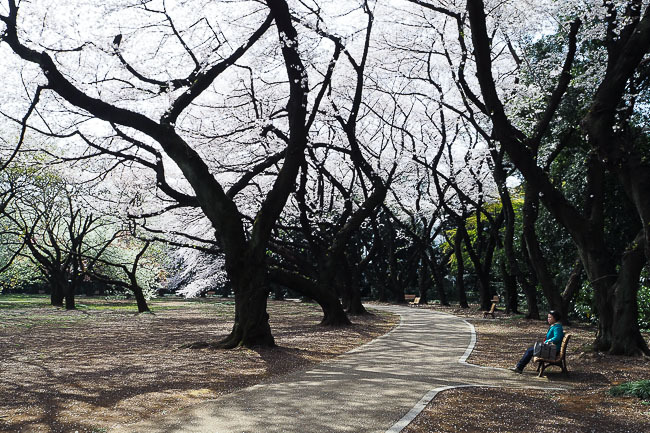 Much like Asukayama, I would expect the dominant Somei Yoshino trees around Shinjuku Gyoen to remain nice for several more days as long as they are not too affected by the upcoming rain. 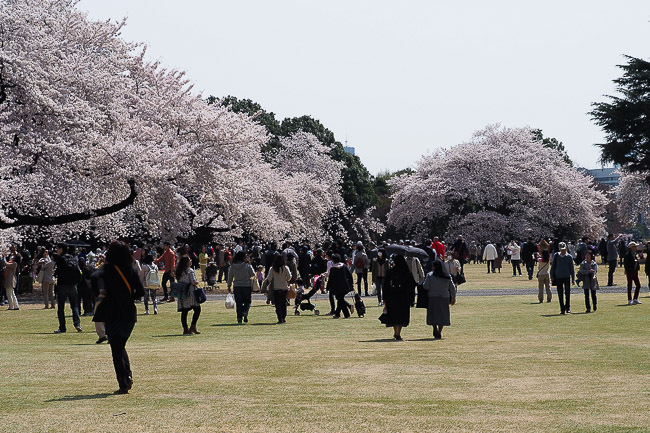 Shinjuku Gyoen also has several different varieties of later blooming cherry trees planted around the grounds which were just starting to bloom today. 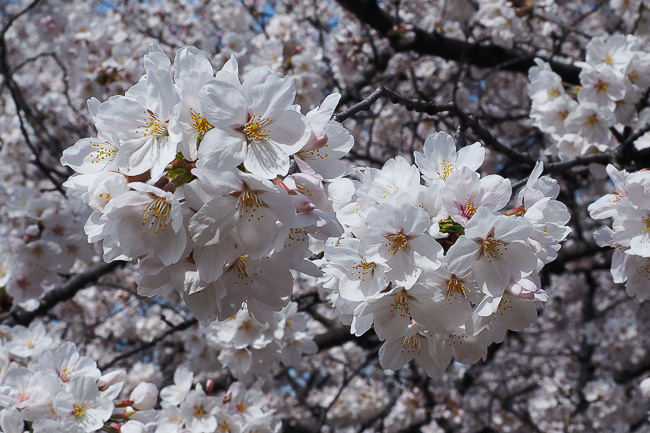 They should continue to improve over the coming week and give those who miss the main season a chance to see some blossoms. 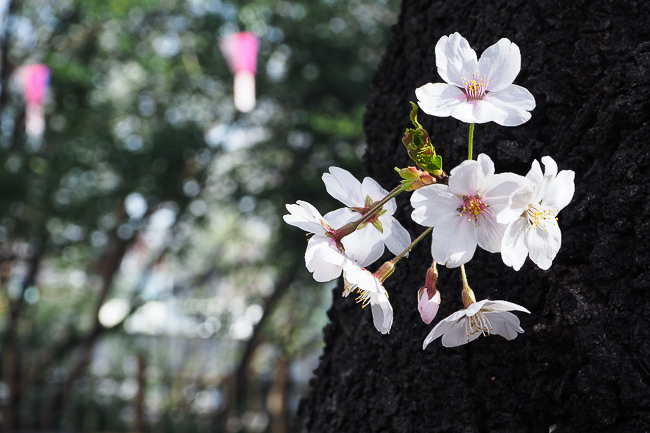 An Ichiyo tree starting to blossom. 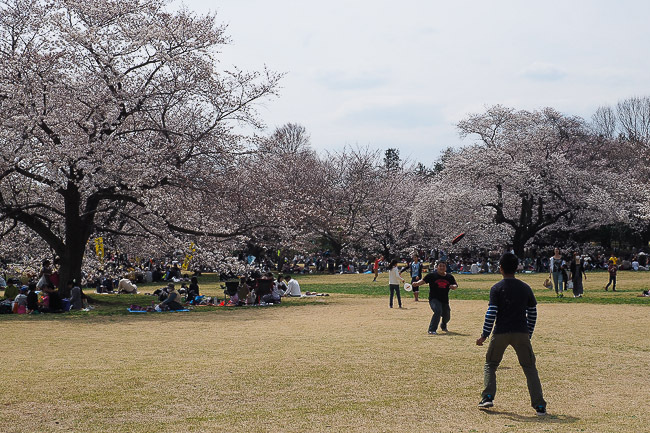 Most Ichiyos weren't quite this advanced yet today though. 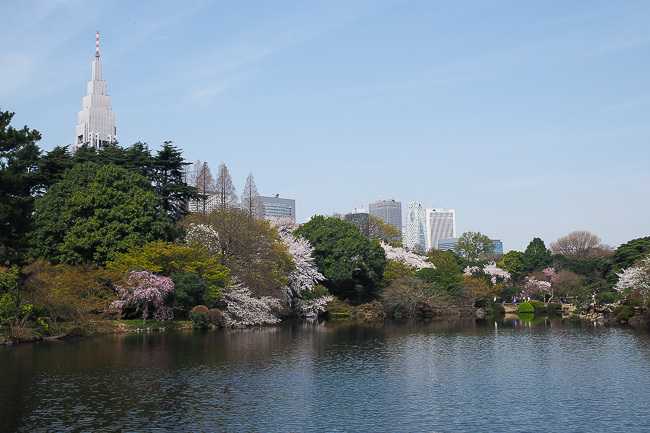 My final stop today was to Showa Kinen Koen, a huge city park that was built to commemorate the 50th anniversary of the reign of Emperor Showa. 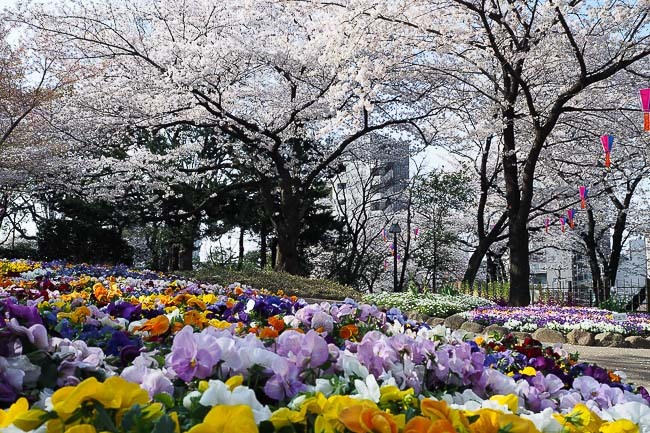 The park is located on the former site of a military air field near Tachikawa Station (30 minutes, 450 yen one way) west of Shinjuku on the JR Chuo Line. 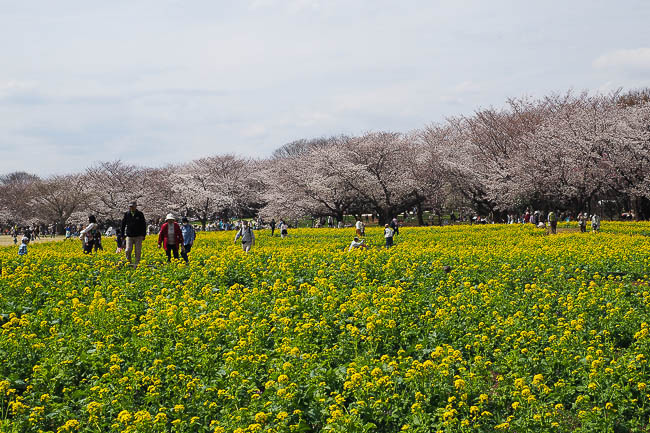 The park is open from 9:30 to 17:00 (until 18:00 on weekends and national holidays) and charges a 410 yen admission fee. 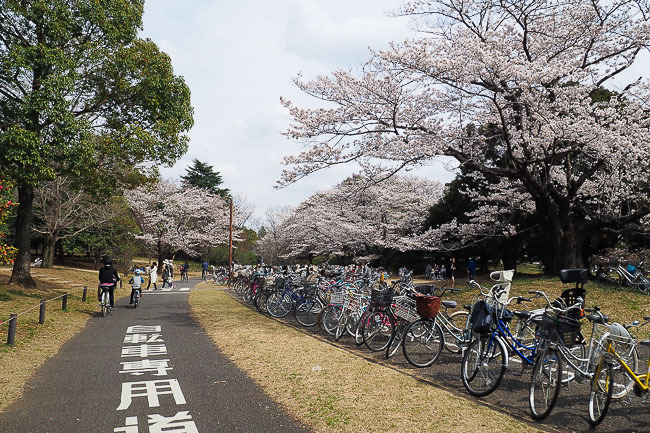 As the park is so huge, rental bicycles (410 yen for three hours) are available at most of the park entrances. 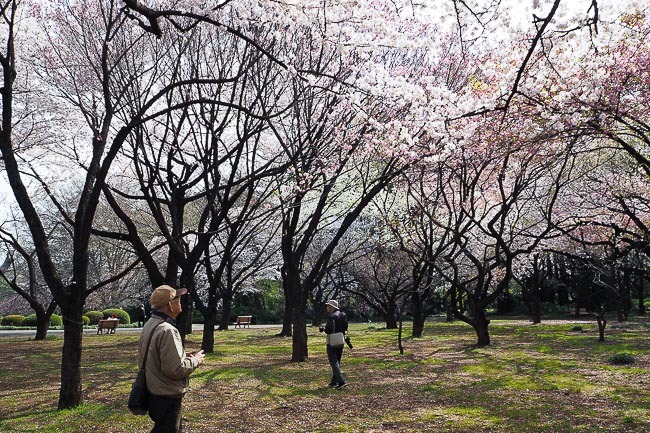 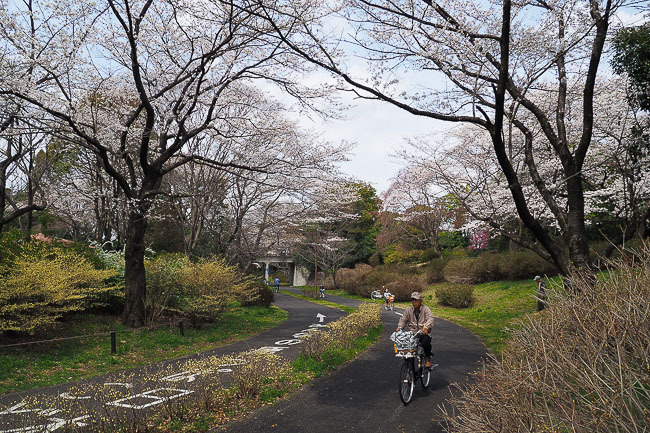 Showa Kinen Koen has nearly 1500 cherry trees planted around its gardens, sports fields, barbeque pits, boating pond, and walking and cycling paths. 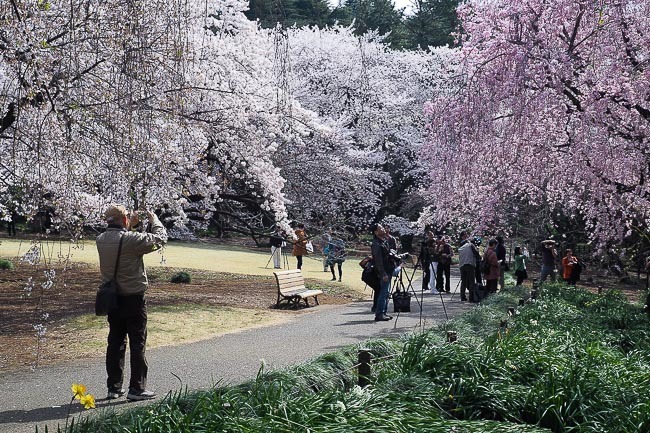 Most of them are found around the Sakura no En area near the center of the park where they tend to open a little bit later than those around central Tokyo. 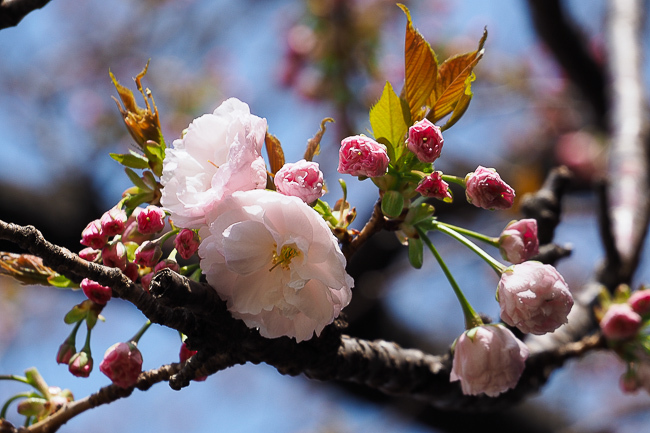 Indeed, today the cherry trees looked like they still a few days away from reaching full bloom, which should be good news for those who will be a little late for the main season in Tokyo. 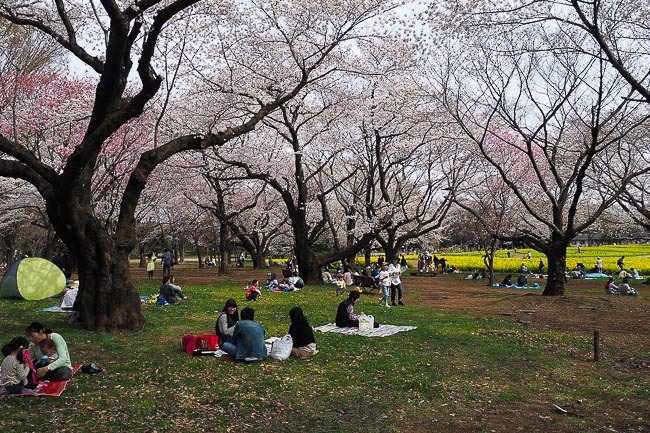 It also means that the blossoms will easily weather the upcoming rains and should make for a beautiful hanami spot this weekend.